The Coral Reef Alliance (CORAL) is pleased to announce that we have an opening for a part-time Research Officer position, based in Maui (or another Hawaiian island, with the ability to travel intermittently to Maui).. The position will involve approximately 5-10 hours a week (variable), and will support our stream restoration project that is currently planned to finish on January 31st, 2020. 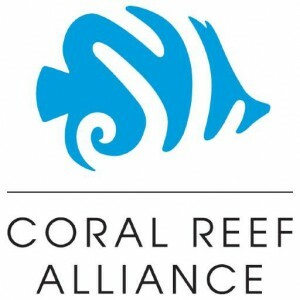 CORAL is a U.S.-based nonprofit organization whose mission is to unite communities to save coral reefs. Working with people around the world – from fishermen to government leaders, divers to scientists, Californians to Fijians – CORAL protects our most valuable and threatened ecosystems. CORAL has more than a decade of experience working in the Main Hawaiian Islands on coral reef conservation. Currently, our work focuses on our Clean Water for Reefs Initiative, with an emphasis on preventing land-based sources of pollution from entering streams and groundwater which eventually lead to the ocean. The Research Officer will ensure the development and successful execution of a monitoring plan that measures the impact of restoration activities designed to reduce sediment and nutrient pollution in Wahikuli and Honok-wai streams in West Maui. The minimum required qualifications include BA/BS degree in physical science-related field, such as geology, environmental science, fluvial geomorphology and hydrology. The Research Officer will coordinate data collection activities by various parties (researchers, government agencies, CORAL staff and local contractors) and ensure protocols are followed to ensure data quality. They will work with the Technical Operations Manager (based in Maui) and the Associate Program Director (based in Oakland, California). This is an exciting opportunity for the right candidate to join a growing team working on cutting-edge conservation strategies that will create lasting benefits for coral reefs in Hawai?i and across the globe. There may be a possibility for employee-status work depending on the candidate’s interest and skills. The position will be open until filled, an immediate start date is preferred. Please pass on this announcement to exceptional individuals who you think might be interested in this opportunity!